My blog, Must Have Mom, features some great recipes for toddlers who are learning to self feed. 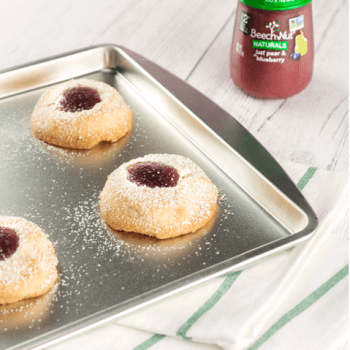 For example, lots of my followers love these mini PB&J finger foods, so keeping the theme of easy toddler food ideas I am excited to bring you these amazing, quick toddler snack bites! 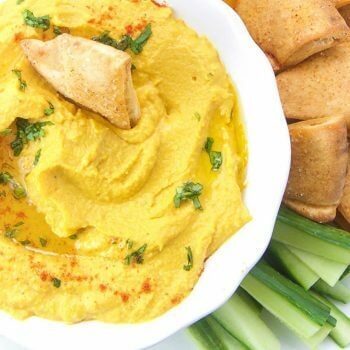 These easy bites are egg free, dairy free and flourless, and they’re a great alternative to cookies and other packaged foods. Not to mention, they’re delicious and toddlers love them! 2 bananas – the riper the better! 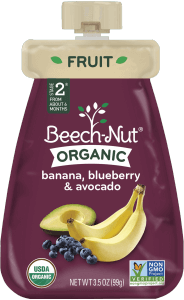 I love Beech-Nut’s organic pouches because they aren’t full of any unnecessary ingredients. 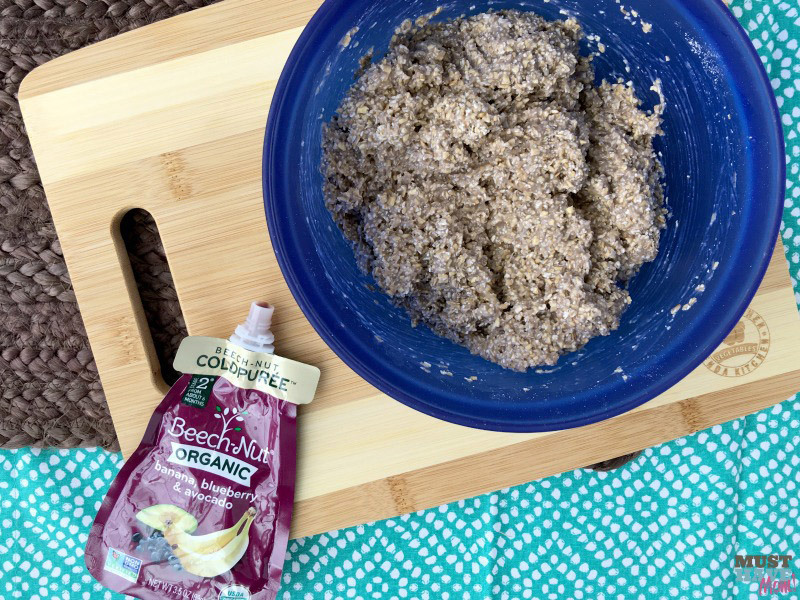 Beech-Nut makes baby food as close as possible to how moms make it at home. They begin by puréeing the fruits and veggies cold to maintain nutrients and flavors. Then, the air is removed to keep nature’s vibrant colors without adding any artificial preservatives. The purée is then gently cooked to maintain colors and textures. Beech-Nut is the only baby food company that uses this method! Here’s what to do to make these easy cookie alternatives: Start by mixing the two bananas and the oats in a medium-sized bowl. Then, smash the bananas with a fork until they are a puréed consistency. Next, mix in the oats with the mashed banana and stir in the Beech-Nut organic pouch until well combined. 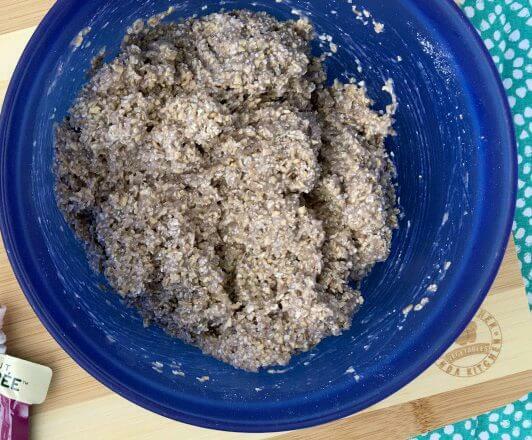 If the mixture looks runny at all, feel free to add in more oats until it holds together well. Bake at 350 degrees for around 15 minutes. Allow to cool completely before serving. My daughter gobbles these up – she thinks they taste like banana bread and my other children (ages 2-8) love them too. The best part is that these are a healthy and nutritious snack that they think tastes like a treat! I grabbed a few myself, which proves these aren’t just for toddlers. Keep in mind, one batch makes about 15 or so toddler bites if you keep them to around two inches. Since my youngest is 2 years old he does really well with bigger pieces. 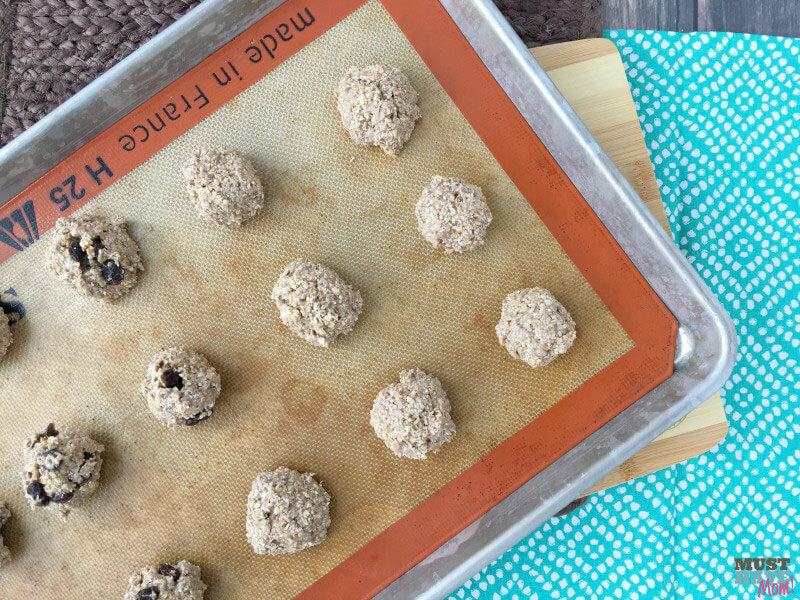 If your toddler is younger and is just learning to self feed, you can make these into smaller balls for easier eating and a shorter cooking time. The Beech-Nut organic pouches come in many different flavors. I also considered the pear, pumpkin and cranberry flavor with this recipe and will definitely be trying that out soon! I recommend introducing these toddler snack bites once your toddler has begun learning to self-feed. Ensure that your child has already been introduced to each ingredient before serving this recipe. You can consult your pediatrician before starting a new stage of food. Disclosure: This post was sponsored by Beech-Nut and similar content originally appeared on Must Have Mom. All opinions and thoughts expressed come from Sarah.